The O'Brien Farm has plans to interpret Irish-Newfoundland agricultural history, culture, settlement, and the O'Brien family, through active learning and today's lens of sustainability. Presented by the Department of Folklore of Memorial University and the O'Brien Farm Foundation Interpretation Committee. 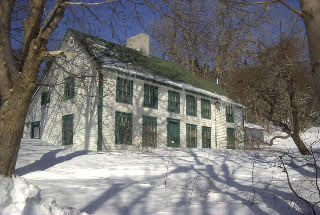 Thimble Cottage at the O'Brien Farm was designated a Registered Heritage Structure by the Heritage Foundation of NL in 1992.